As FEAR ITSELF hits the Marvel Universe, an extreme faction of the mutant hate group, The Purifiers, believes that the end of the world has come, that the devil is here for humanity and it is up to them to "save" as many human souls as they can before he strikes. 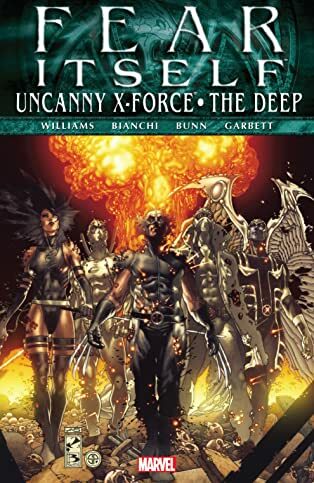 Can X-Force stop their drive for worldwide suicide? And what, exactly, is a mutant kill crew afraid of? Plus, Namor is targeted for death by one of the hammer-wielding Worthy and this is a battle no one hero can survive! With the X-Men under siege from a shocking foe and all hope seemingly lost, the Sub-Mariner finds an ally in his old friend Dr. Strange. Can Strange recruit a team powerful enough to keep the seas safe from the spread of fear and chaos gripping the world? If he can't there may just not be any hope for the rest of the Marvel Universe!